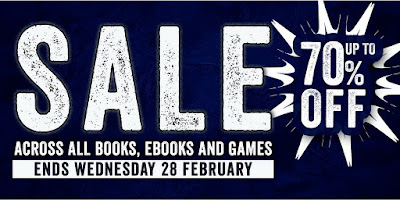 Up to 70% Off ALL Books, eBooks and Games! Throughout February we have an amazing sale on the Osprey website, which includes discounts of UP TO 70% OFF! Every book, eBook and game is on offer, so don't delay! Order that book you've had your eye on, start a new series, or get a deal on our pre-order titles. Hamstrung by arcane pre-war thinking and a bureaucratic mind-set, the US Navy had to adapt on the fly in order to compete with the mighty Imperial Japanese Navy, whose ingenuity and creativity thus far had fostered the creation of its Pacific empire. Starting with the amphibious assault on Savo Island, the campaign turned into an attritional struggle where the evenly matched foes sought to grind out a victory. 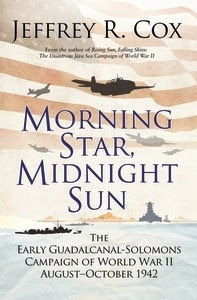 Following on from his hugely successful book Rising Sun, Falling Skies, Jeffrey R. Cox tells the gripping story of the first Allied offensive of the Pacific War, as they sought to prevent Japan from cutting off Australia and regaining dominance in the Pacific. 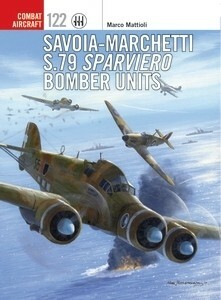 Initially developed by Savoia-Marchetti as a transport, the aircraft had evolved into a dedicated medium bomber by the time the S.79-I made its combat debut in the Spanish Civil War in 1936. During World War 2, it became Italy's most successful bomber, and the most produced, with around 1370 built between 1936 and early 1944. Although initially hampered by poor tactics, the S.79 bomber crews nonetheless scored sunk a number of Allied vessels, and provided a constant threat to Allied sailors in the Mediterranean in the early stages of the war. In East Africa and the Red Sea the Sparvieri were the most modern bombers in-theatre, proving a challenge to RAF and SAAF biplane fighters. Using specially commissioned full-colour artwork, first-hand accounts and historic photographs, this volume chronicles the history of the S.79's war in the Mediterranean, North African, Balkan, and East African theatres. Due to its location in the western North Atlantic some 600 miles off the Carolinas and halfway between Halifax in Canada and Jamaica in the West Indies, the island of Bermuda was a key naval haven for the Royal Navy over the centuries. 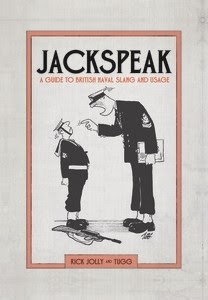 It was vital for the Navy first in the development of its American colonies, then during its rivalry with the United States, and finally as allies with the United States. The need to defend its 64 miles of coastline and ports has resulted in the construction of about 50 forts from 1617 to 1945 even though its total land mass is only 20.6 square miles. This led to an incredible concentration of fortifications with 2.5 forts for every square mile. 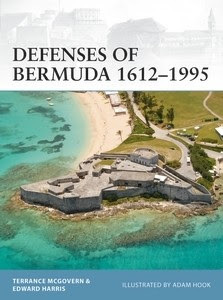 Today, the legacy of these defence efforts remain either as disused structures or parks scattered throughout Bermuda, many of them now popular tourist attractions. Using stunning commissioned artwork and meticulous research, this is the fascinating story of Britain's "Gibraltar of the West”. In 1941-44, Nazi Germany's Gebirgsjäger - elite mountain troops - clashed repeatedly with land-based units of the Soviet Navy during the mighty struggle on World War II's Eastern Front. Formed into naval infantry and naval rifle brigades, some 350,000 of Stalin's sailors would serve the Motherland on land, playing a key role in the defence of Moscow, Leningrad, and Sevastopol. 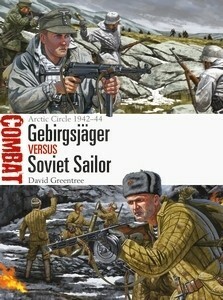 The Gebirgsjäger, many among them veterans of victories in Norway and then Crete, would find their specialist skills to be at a premium in the harsh terrain and bitter weather encountered at the northern end of the front line. Operating many hundreds of miles north of Moscow, the two sides endured savage conditions as they fought one another inside the Arctic Circle. 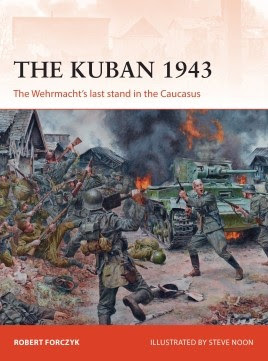 Featuring archive photographs, specially commissioned artwork and expert analysis, this is the absorbing story of the men who fought and died in the struggle for the Soviet Union's northern flank at the height of World War II. In 1940, the strategically vital island of Malta was Britain's last toehold in the central Mediterranean, wreaking havoc among Axis shipping. 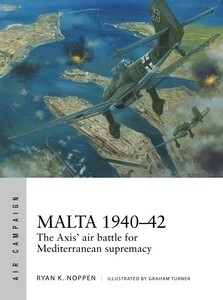 Launching an air campaign to knock Malta out of the war, first Italy and then Germany sought to force a surrender or reduce the defences enough to allow an invasion. Drawing on original documents, multilingual aviation analyst Ryan Noppen explains how technical and tactical problems caused the original Italian air campaign of 1940-41 to fail, and then how the German intervention came close to knocking Malta out of the war. Using stunning full colour artwork, this fascinating book explains why the attempt by the Axis powers to take the British colony of Malta ultimately failed. In the summer of 1942, the Wehrmacht invaded the Caucasus in order to overrun critical oil production facilities at Maikop, Grozny and Baku. However, the Red Army stopped the Germans short of their objectives and then launched a devastating winter counteroffensive that encircled them at Stalingrad. Consequently, Hitler grudgingly ordered an evacuation from the Caucasus, but ordered 17. Armee to fortify the Kuban bridgehead and hold it at all costs in order to leave open the possibility of future offensives. On the other side, the Soviet Stavka ordered the North Caucasus Front and the Black Sea Fleet to eliminate the Kuban bridgehead as soon as possible. The stage was set for a contest between an immovable object and an unstoppable force. Operation Rolling Thunder was the campaign that was meant to keep South Vietnam secure, and dissuade the North from arming and supplying the Viet Cong. 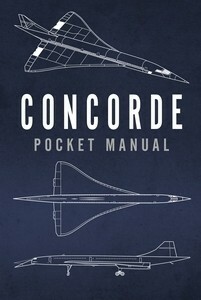 It pitted the world's strongest air forces against the MiGs and missiles of a small Soviet client state. But the US airmen who flew Rolling Thunder missions were crippled by a badly thought-out strategy, rampant political interference in operational matters, and aircraft optimised for Cold War nuclear strikes rather than conventional warfare. Ironically, Rolling Thunder was one of the most influential episodes of the Cold War - its failure spurring the 1970s US renaissance in professionalism, fighter design, and combat pilot training. 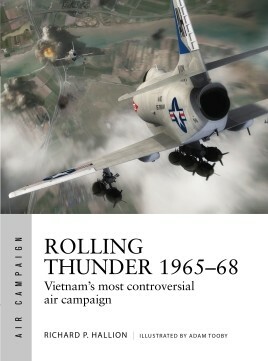 Dr Richard P. Hallion, one of America's most eminent air power experts, explains how Rolling Thunder was conceived and fought, and why it became shorthand for how not to fight an air campaign. 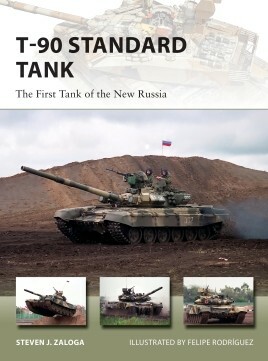 From an internationally acclaimed expert in the field comes a detailed, analytical and comprehensive account of the worldwide evolution of tanks, from their inception a century ago to the present day. 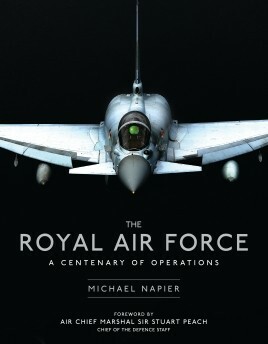 With new ideas stemming from the latest academic research, this study presents a reappraisal of the development of tanks and their evolution during World War I and how the surge in technological development during World War II and the subsequent Cold War drove developments in armour in Europe and America, transforming tanks into fast, resilient and powerful fighting machines. 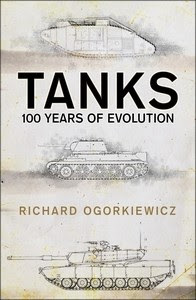 From the primitive, bizarre-looking Mark V to the Matilda and from the menacing King Tiger to the superlative M1 Abrams, Professor Ogorkiewicz shows how tanks gradually acquired the enhanced capabilities that enabled them to become what they are today - the core of combined-arms, mechanized warfare. Constructed on the Clyde in 1869 for the Jock Willis Shipping Line, Cutty Sark was one of the last tea clippers to be built and one of the fastest. Cutty Sark spent just a few years on the tea routes before the opening of the Suez Canal and the increasing use of steamships made clippers unprofitable on shorter routes. It was turned to the trade in wool from Australia, where for ten years she held the record time for a journey to Britain. After finishing her time in service as cargo ship, and then a training and cadet ship, it was transferred to permanent dry dock at Greenwich, London, for public display. 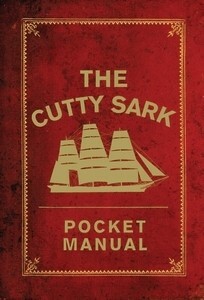 This handy and illuminating pocket manual collates original documents to tell the fascinating story of how the legendary Cutty Sark was commissioned, her design and building, life on board and her notable journeys. Meanwhile, the Nationalists have all the advantages of the home team. 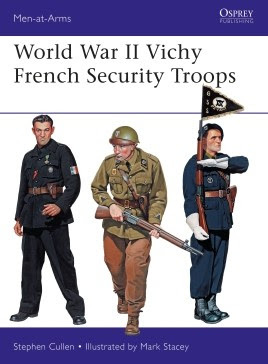 They fight as guerillas, choosing the time and place of major operations or surprise attacks and appearing from nowhere to ambush enemy hunting them. When the time is right, they even commit their tanks, armoured personnel carriers, and seasoned troops into the fray to achieve total victory. 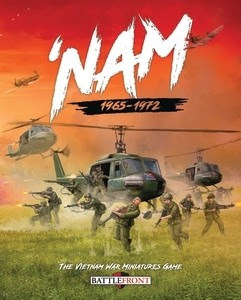 ‘Nam gives you have everything* you need to take command of one of these forces. Building on the success of Battlefront's Team Yankee, these rules and forces are easy to learn and use. Within these pages you can find all of the scenarios, missions, and notes on terrain to fully brief you before you step onto your Huey to lead your troops to the landing zone! *Well, almost everything. A groovy playlist of 1960s tunes is compulsory for maximum playability. Market Garden was a bold plan, designed to capture the Rhine crossings along the Dutch-German border and establish a foothold for an advance into Germany. A massive combined arms operation involving airborne landings and an armoured thrust, it was one of the most dramatic and controversial operations of the war. 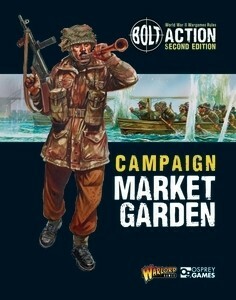 This new Campaign Book for Bolt Action allows players to command the forces facing each other across the Rhine, fighting key battles and attempting to change the course of history. New, linked scenarios, rules, troop types and Theatre Selectors provide plenty of options for novice and veteran players alike.